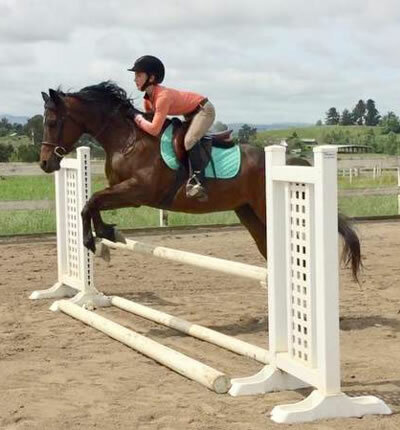 10yo Dark Bay Jumper Welsh Cross. 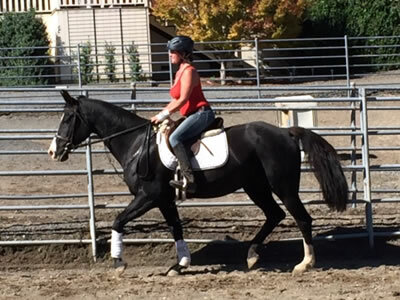 "Chop Sticks", $15,000, Gelding, Bay, star, Age: 10, 14H, 800 lbs, Foaled: 2006. You can go anywhere with Chopper. He is 800 lbs and 14hh. He is an excellent jumper. 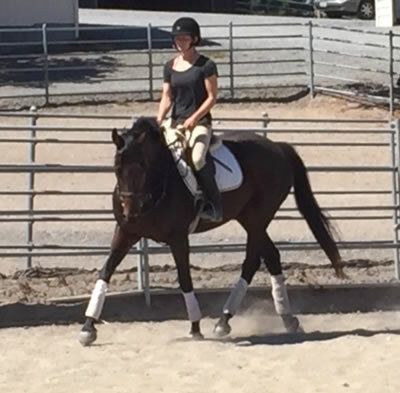 He has amazing cadence and is a pleasure to ride. He keeps his rider safe really rebalancing under the rider if the rider falls to one side or the other. He has a large pony card so you can show him in hunter if you like in the pony classes. He has done over 800 endurance miles and has many top tens and 100 mile ride. He clips, ties, stands for the farrier, and loads well. He has lived mostly in a stall but also spends 3 months a year in a herd of 40. 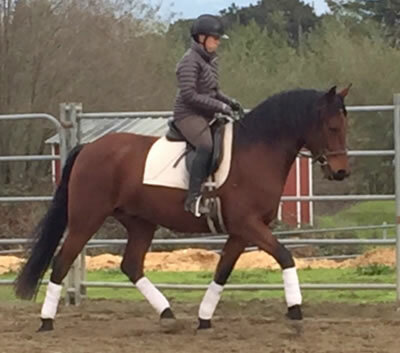 He was cut at age 4 so has a beautiful finished neck and chest of a late cut horse. 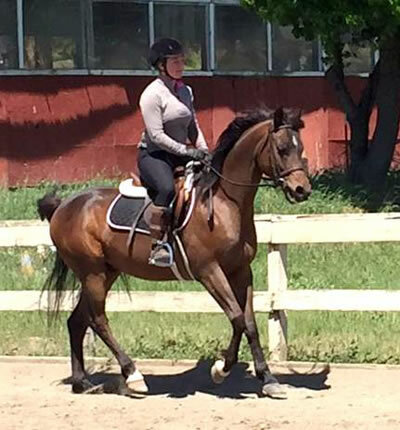 Big, quiet, gentle sport-horse. Very comfy gaits! 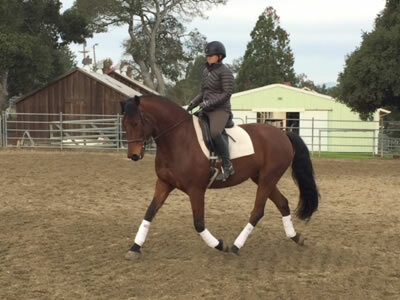 Excellent pleasure, western, dressage , and trail prospect. Easy keeper. Sound! 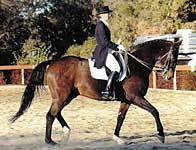 Friesian/ Standardbred cross. 6 years old! 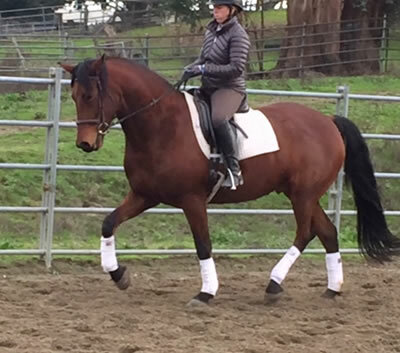 Fancy, light , sensitive , Oldenburg mare. 16. 1 hands tall. Easy on the bit, forward moving horse! 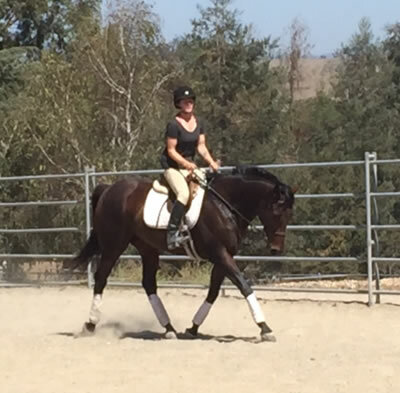 Lovely dressage prospect! She likes to work! Garbo is really cute over small fences. Garbo could be a nice 3-day prospect as well, and is pretty enough to be a hunter. Garbo could also produce you some nice youngsters as well!! Come and check out Garbo! 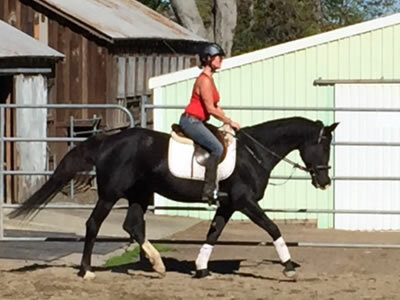 Quiet , steady, easy going, tall handsome, Tb gelding. 16.2 hands tall. 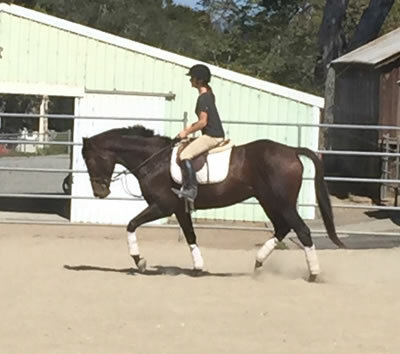 Very simple under saddle. No longeing necessary. Smooth comfy gaits. Starting over poles , etc. 6 years old with papers. Good for amateur. Or young rider. Nice project to bring along. On-site lease available to right person.